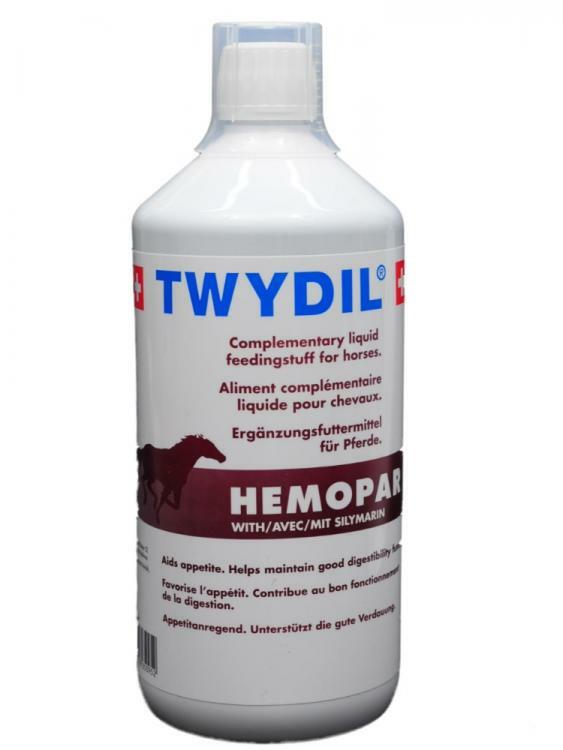 Twydil Hemopar is a high quality nutritional supplement to aid digestion and improve appetite. Hemopar also contains milk thistle in one of the highest concentrations available in the UK. This has been shown to help detoxify the liver and kidneys and may improve liver functionality. This supplement is perfect for horses that are "off their feed". It ensures good digestion, supports intestinal transit and strengthens gut microflora. An improvement in droppings quality may also be noted. Dosing Instructions: Give 60mls orally. For best results, give in the evening, when the horse is quiet.